Making your own roulette table may seem like a very complicated task at first. However, with a few basic tools you can build your own roulette table in less than an hour. Having your own roulette table can be a great way to entertain guests or have your own casino night at home with friends and family. It can also be a great way to test out betting strategies before going to the casino and betting real money. Purchase a roulette layout and wheel. The roulette layout should be 36 inches by 72 inches. Felt roulette layouts can be found in game and billiard stores as well as online at the link below. Roulette wheels can be purchased online at the link below. Roulette wheels vary drastically in quality and price. Place the roulette layout face down on a clean, hard floor. Flip the table over and place it face down on top of the roulette layout. Make sure the layout is all the way to one side and not centered in the middle of the table. Staple the edges of the roulette layout to the back and sides of the table, taking care to smooth out the felt along the edges as you go so the felt is smooth on top. Place staples every two to three inches. Flip the table over and inspect your work. The felt layout should be tight against the surface of the table. Add more staples along the sides of the table if necessary, but avoid putting staples on the face of the layout. Attach the roulette wheel to the side of the table that does not have the layout. If you purchased a wood roulette wheel. you should use wood glue. If you are using a plastic roulette wheel, use epoxy. Allow the glue or epoxy to dry overnight before using the roulette wheel. 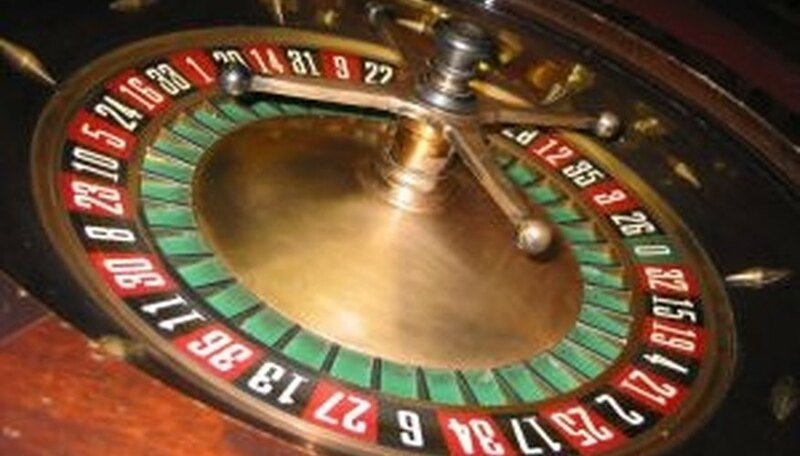 You do not have to attach the roulette wheel to the table if you do not want to, but it does help to keep the wheel from sliding or falling off the table. It is possible to make a roulette table on your own, but the project is much simpler if you have someone help you lift the table and smooth the edges of the felt while you staple them in place.